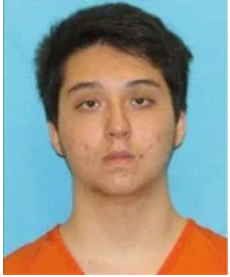 A judge gave a 20-year prison sentence to a teenager who pleaded guilty to plotting an Islamic State-inspired attack at a Texas mall Monday. “I’d like to actually make a cop surrender and drop his gun, then douse him with gasoline and burn him … record it,” Azizi-Yarand reportedly said while discussing the shooting, according to WFAA. He allegedly chose May 2018 because it was during Ramadan, Islam’s holiest month, The Dallas Morning News reported. Azizi-Yarand did not want to hurt other Muslims. “He did not think Muslims would be in the mall during a Muslim holiday,” U.S. Attorney Joseph Brown said, according to the Morning News. The then-high school student reportedly gave over $1,400 to an undercover FBI official in exchange for weapons and gear, the statement said. Federal officials had a difficult time prosecuting Azizi-Yarand in federal court because he was 17 years old at the time of his arrest. “Individuals age 17 and above are considered adults under Texas state criminal law, while federal law requires an individual to be 18 to be considered an adult,” the release said. Azizi-Yarand is eligible for parole after serving in prison for a decade, the news release said.